This bottle green lounge set is perfect for lounging around during the festive season. 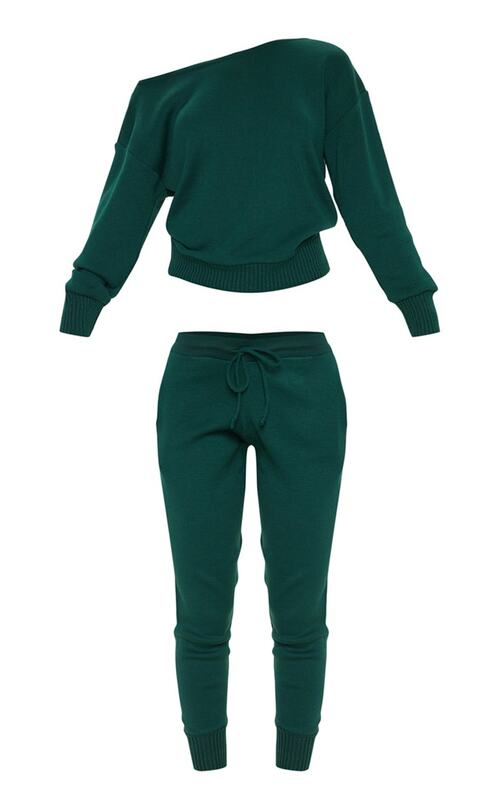 Featuring a bottle green knitted material, with a loose long sleeve top and matching jogger pants, what's not to love? Finish off the look with lace-up sneakers and a cap.